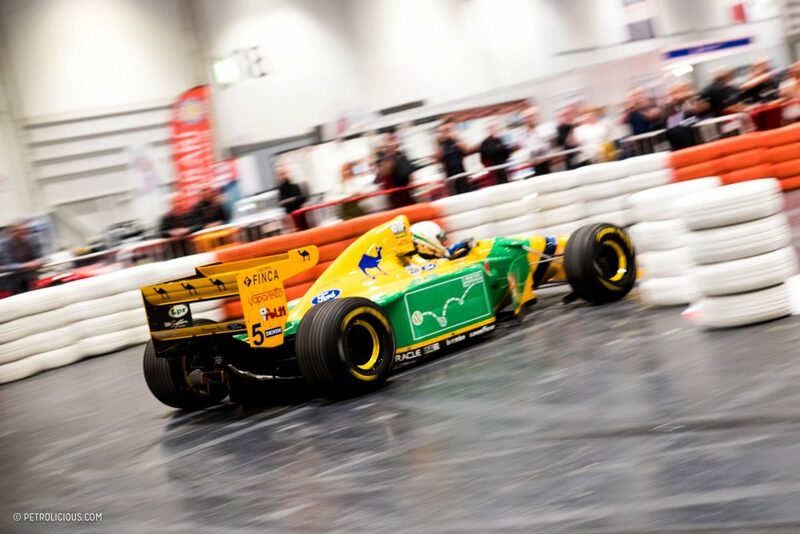 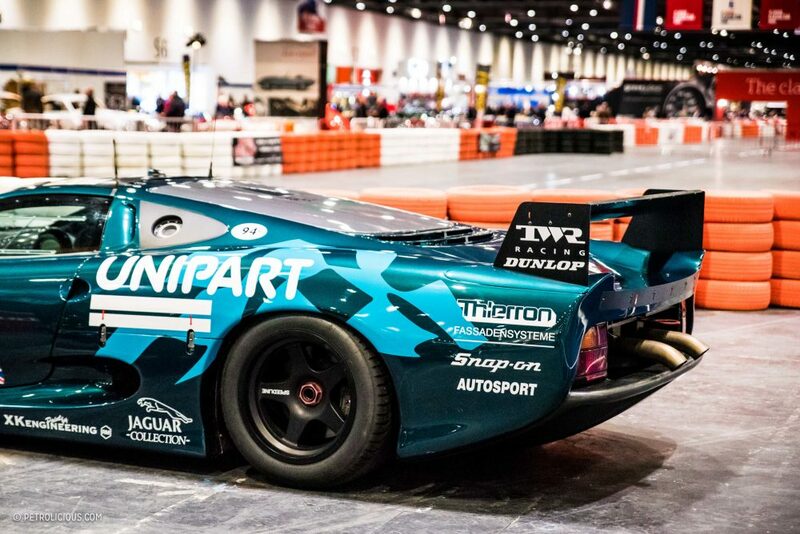 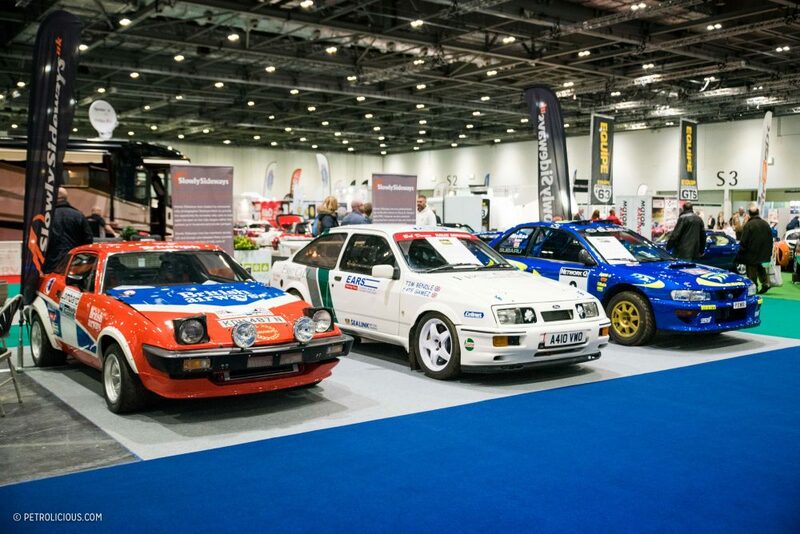 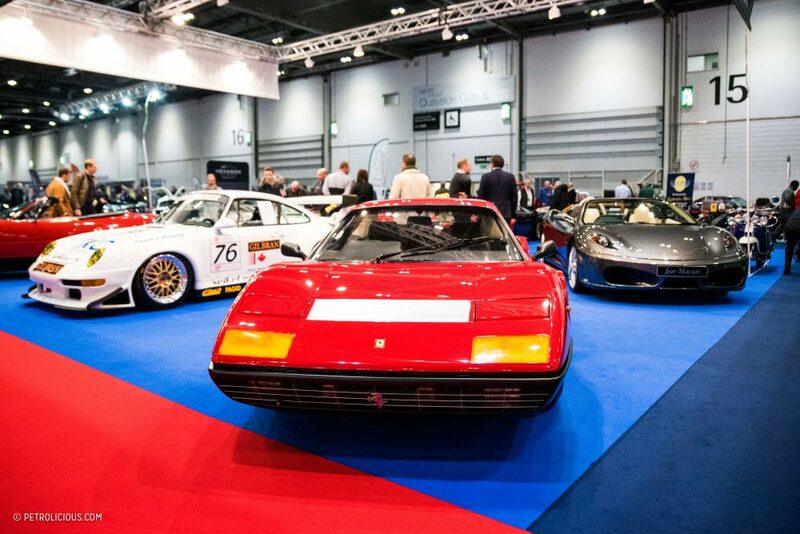 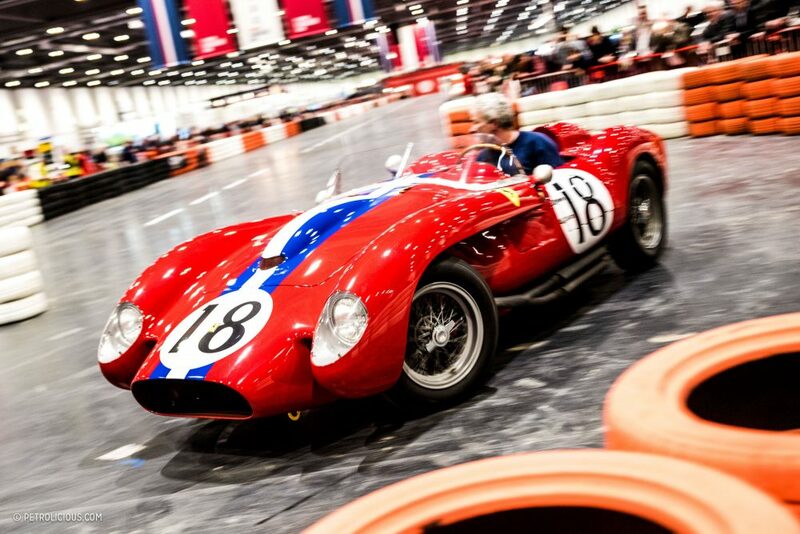 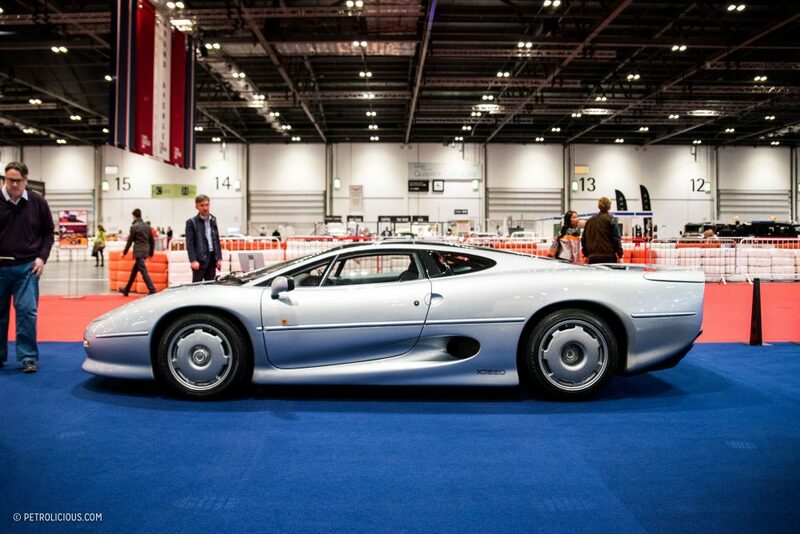 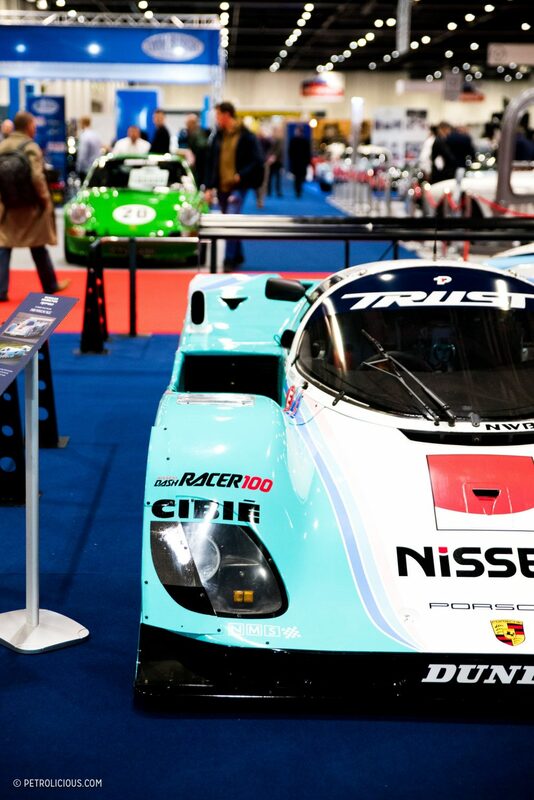 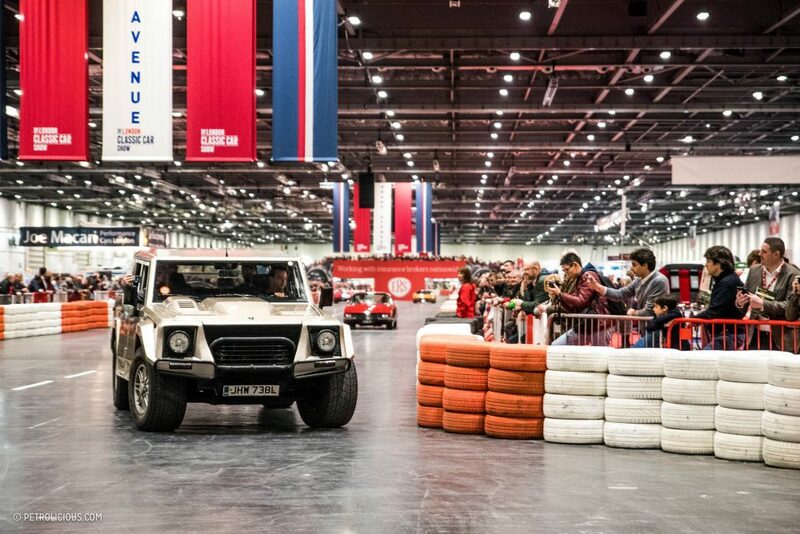 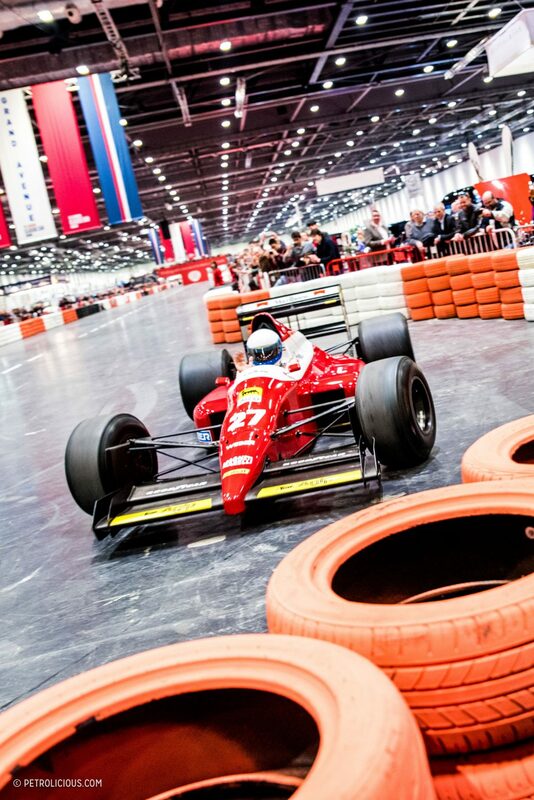 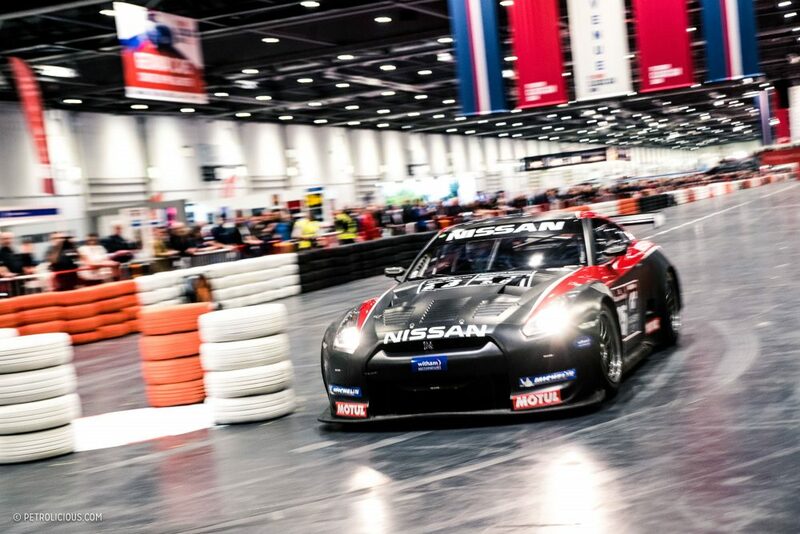 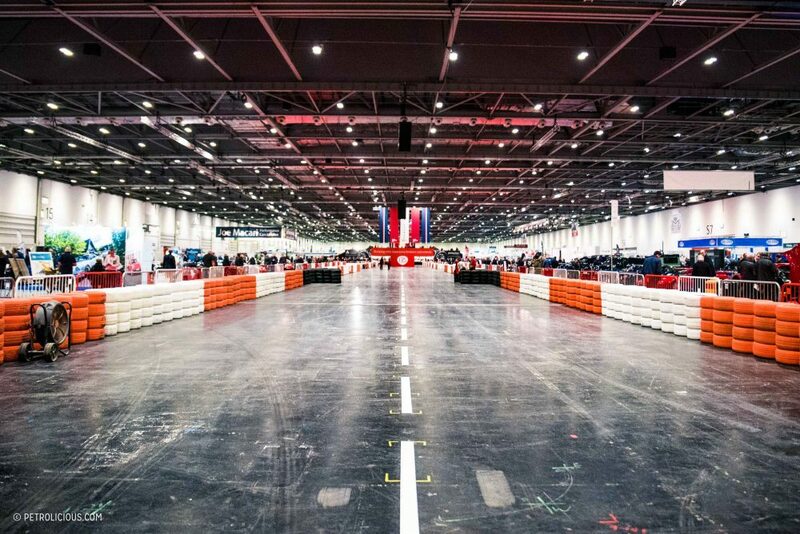 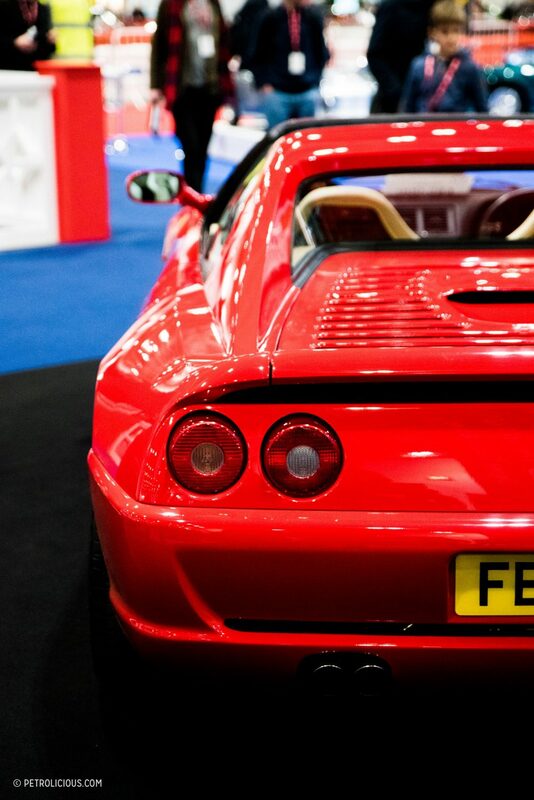 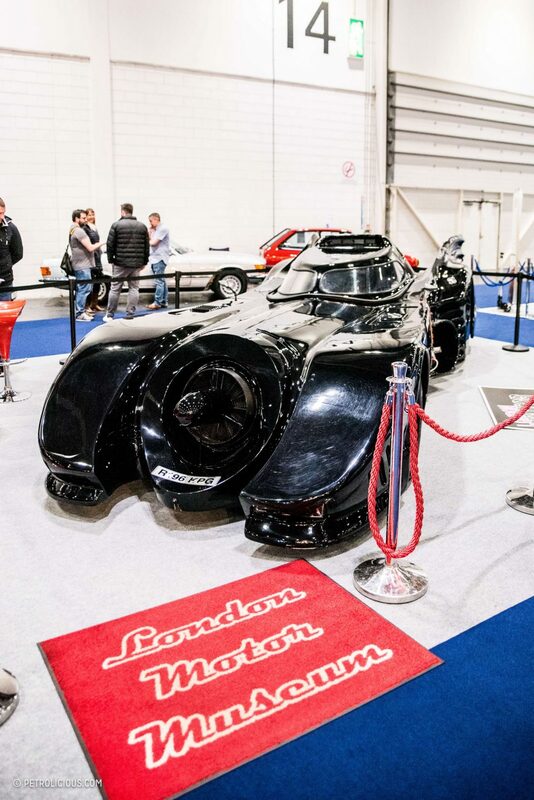 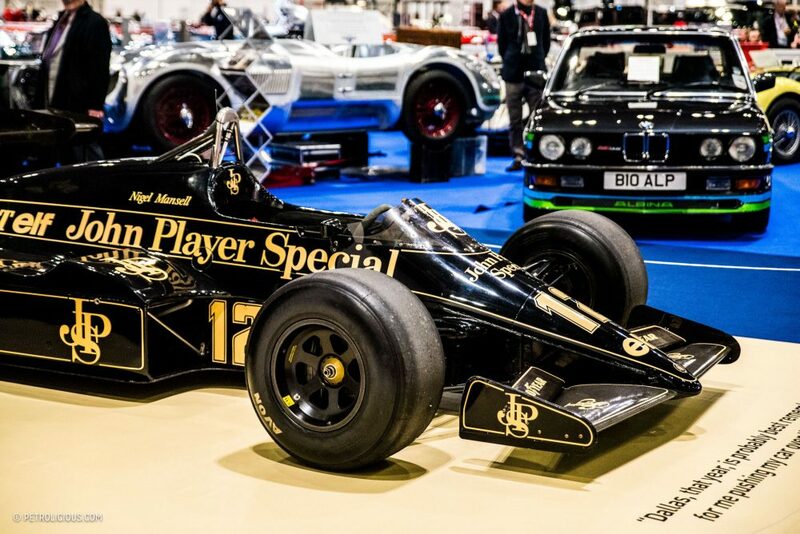 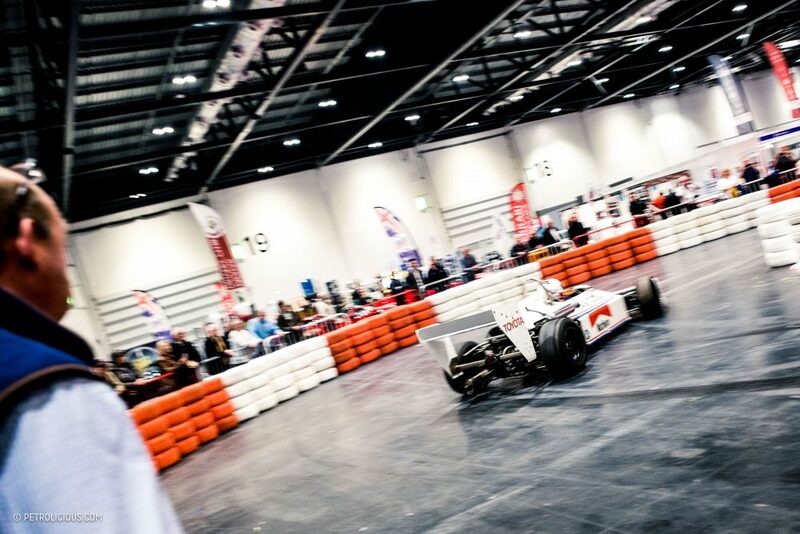 Back again for 2018 and this time taking up the entire South Hall floor space of the ExCel exhibition center is the London Classic Car Show and Historic Motorsport International. 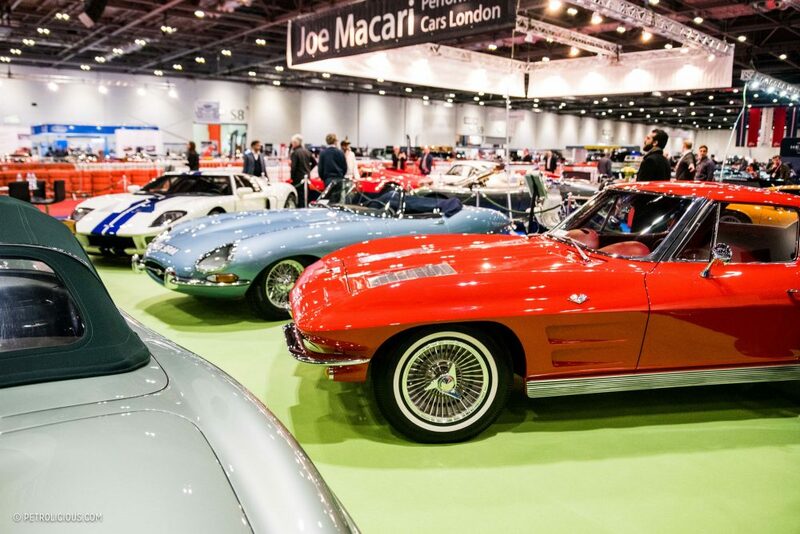 As one of the first chances for some of the country’s biggest classic car dealerships, manufacturers, and car clubs to show their finest, it’s also an opportunity for enthusiasts to get primed for the year ahead. 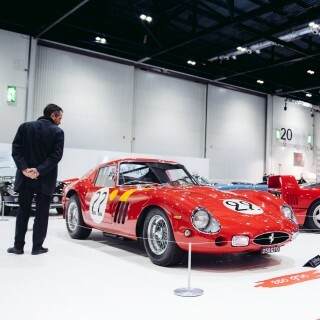 Invited to preview the show on the opening night, here’s what you can expect to find at this year’s edition this weekend. 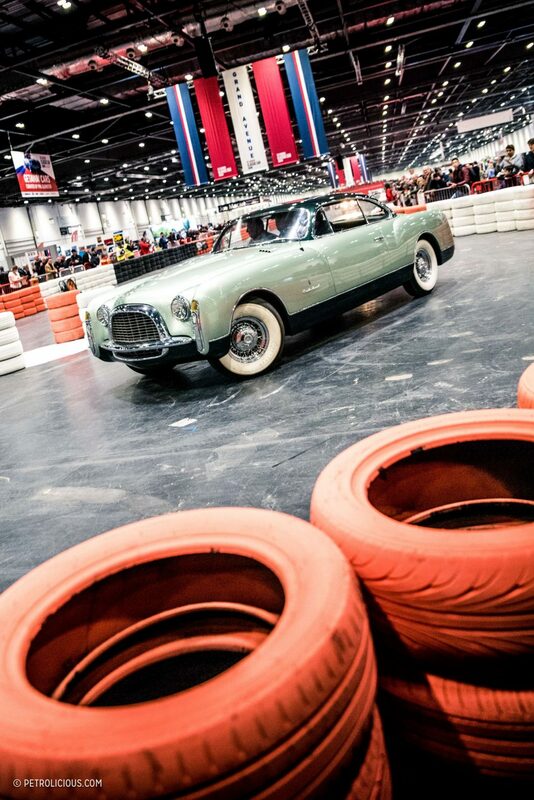 Always a feature that has set it apart from other shows, the space is once again dominated by the Grand Avenue, and this year celebrates “specials and limited editions.” A unique opportunity to see a cross section of motoring history on the move and in comfort away from the challenging British weather, it’s probably easiest to describe it as an automotive catwalk. 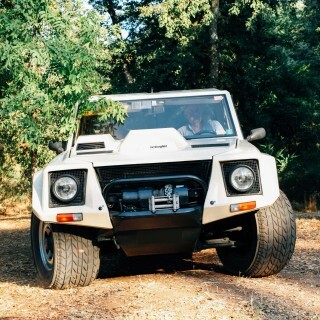 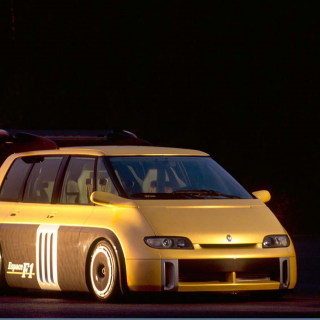 Although for some the drive is taken at a leisurely pace, higher-powered machines take the chance to show off a bit more than their looks. 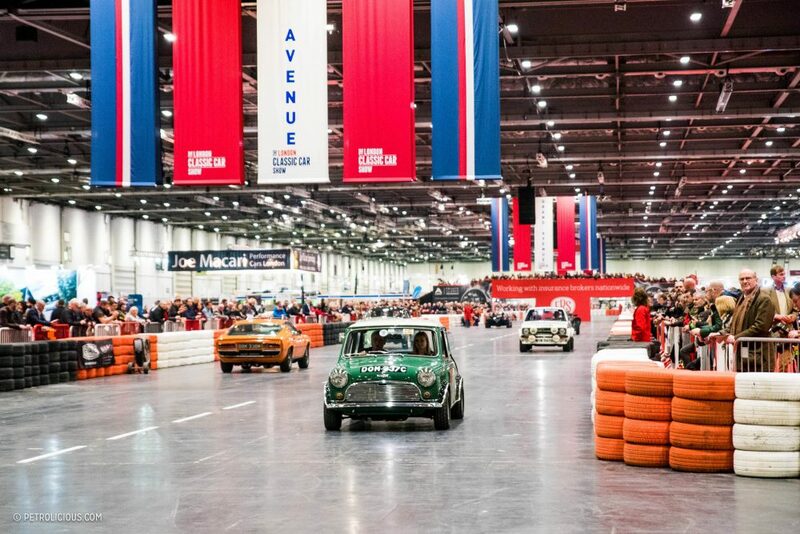 For visitors during the preview evening, highlights included a special Austin Cooper S “Twini” replica (all four wheels powered by two Cooper S engines), a striking blend of Italian and American styling with the Chrysler “Thomas Special” Coupe, Eagle’s E-Type Speedster, and an impressive collection of Formula 1 cars that didn’t hesitate to fill the hall with noise. 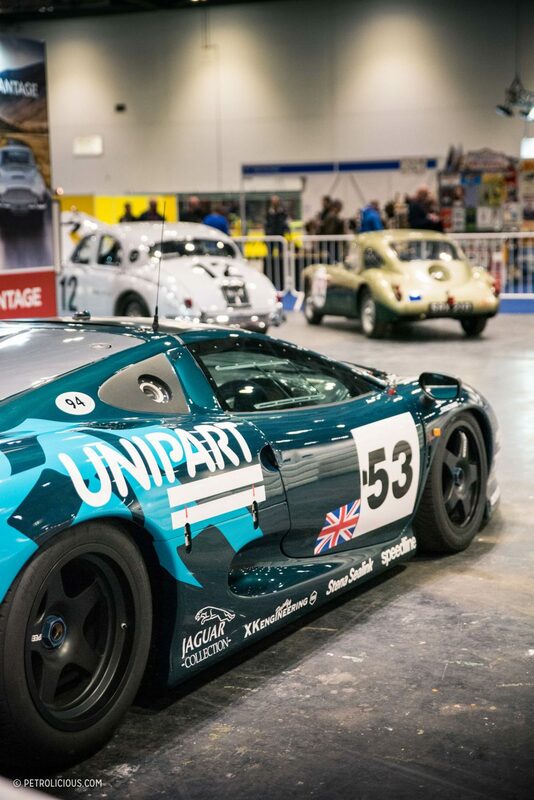 Meanwhile on the flanks of the demonstration area, a staggering number of displays showcase over 700 classic cars, displays from engineering gurus like Cosworth, and nearly everything else related to the classic car enthusiast mindset, including trailers and automotive artworks to style the garage with. 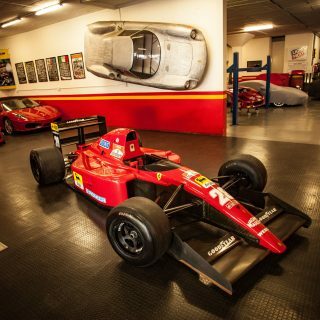 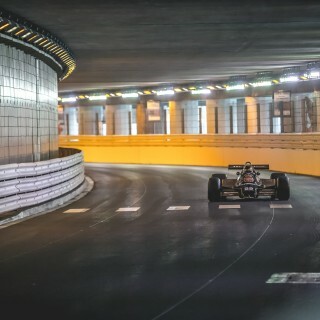 You could easily find yourself lost for a day here in this captivating maze, mulling over the cars and their relations to one another amidst their diversity, or just finding the best racing seat for your video game racing simulator. 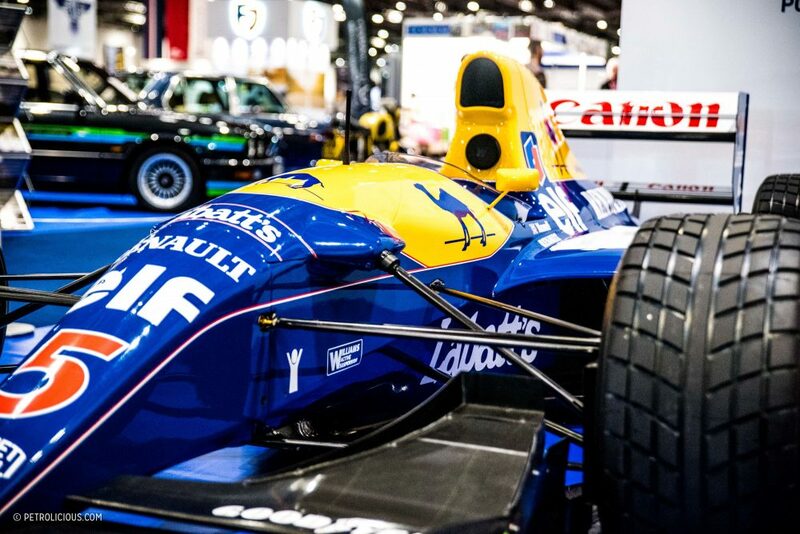 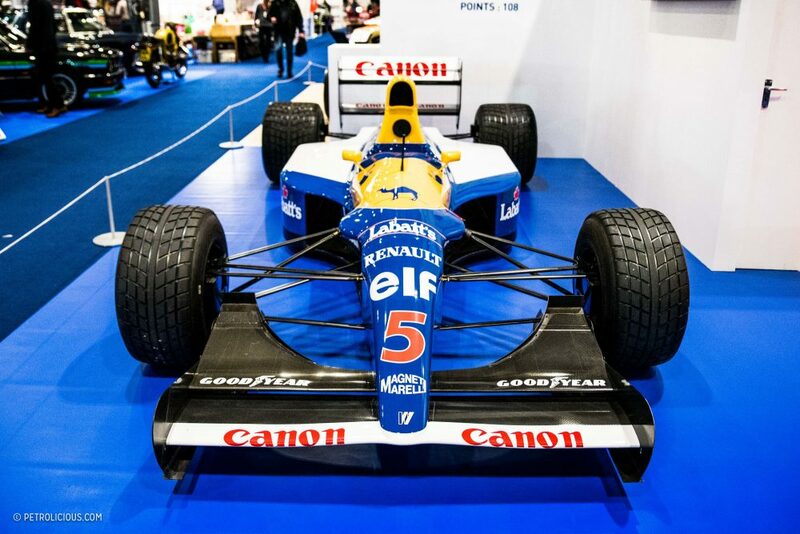 As in the past, this year’s show also celebrates an icon of motor racing, and for 2018, the British F1 legend Nigel Mansell takes center stage with a collection of his World Championship-winning cars, including the Williams FW14B and Lotus 95T. 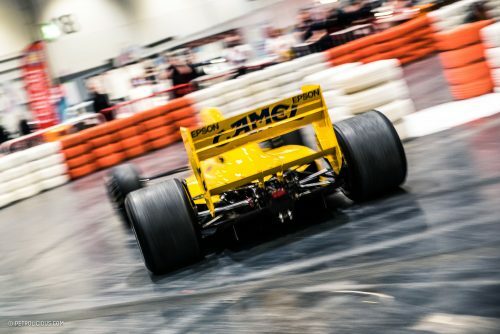 The man himself will be making an appearance on Sunday, the 18th, to discuss an incredible career that has seen him at the wheel of everything from Formula Ford, BTCC, rally, Indy Cars, and of course, F1. 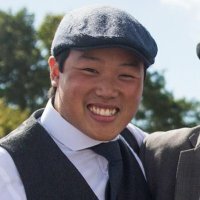 It’s a discussion sure to bring up some interesting stories. 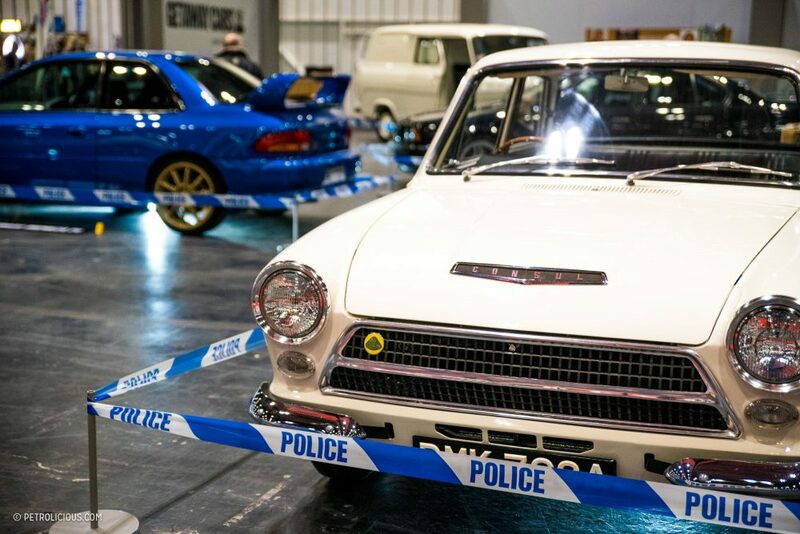 A great collection, curated by Philip Glenister—famous for “firing up” his Quattro in Life on Mars and its sequel Ashes to Ashes—includes a number of cars have been brought together to celebrate their shared histories as the transportation of choice for those on the other side of the law. 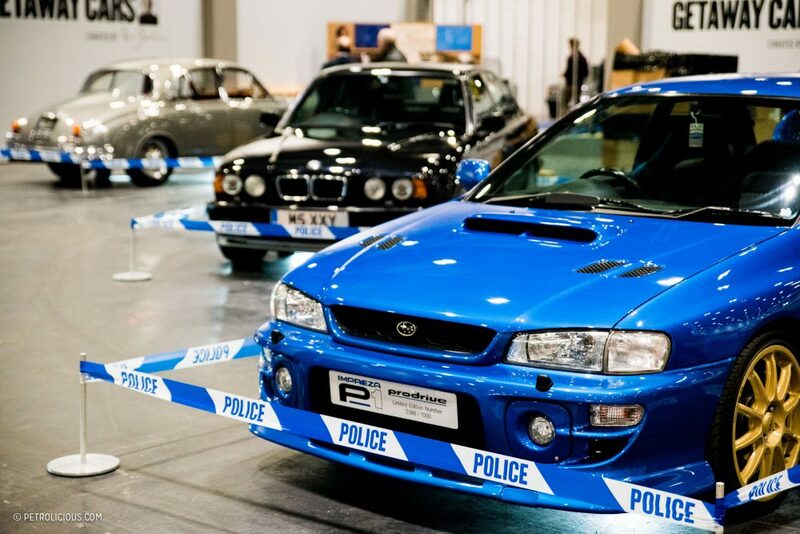 From sprightly Mini Coopers, bland Transit vans, Subaru Imprezas, BMW M5s, and Jaguar Mk2s, these were often used by criminals both on and off the silver screen. 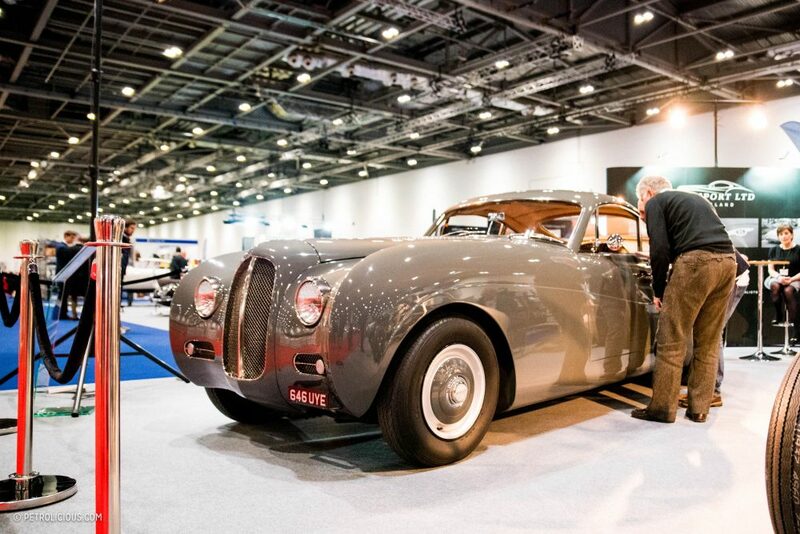 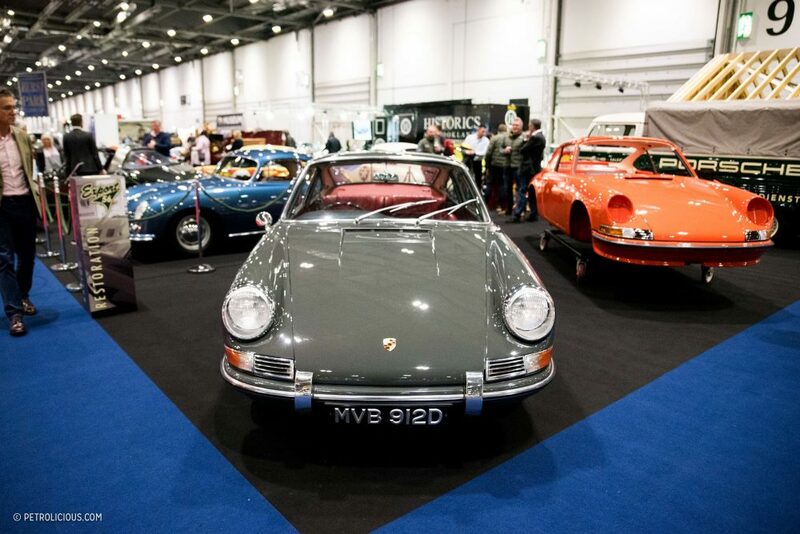 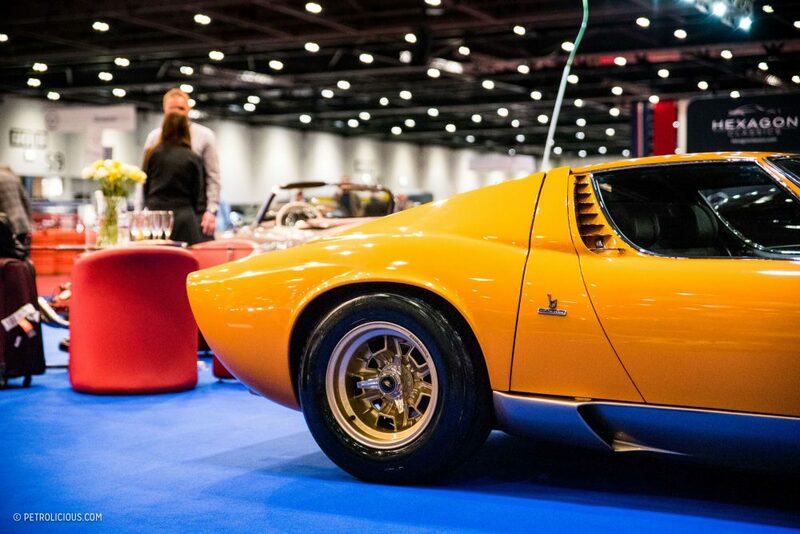 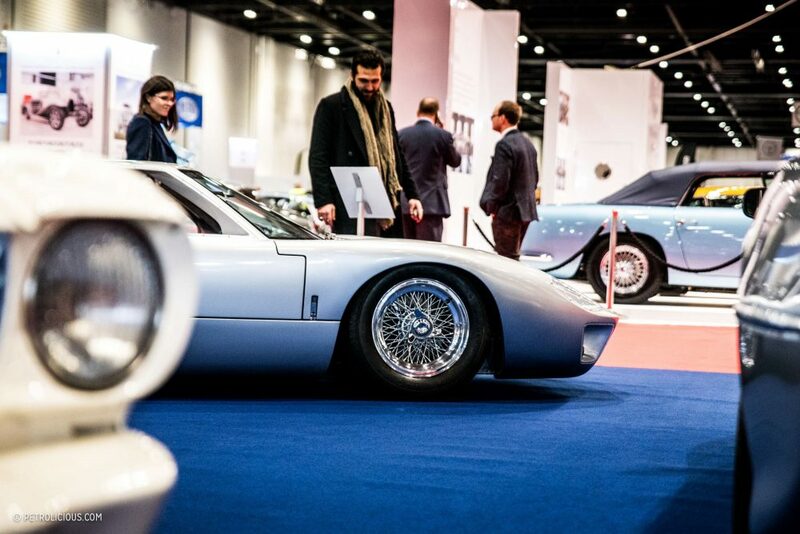 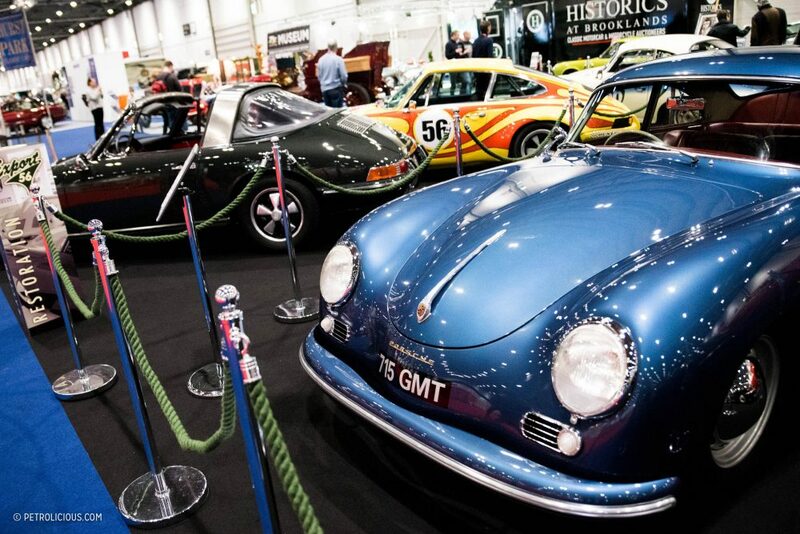 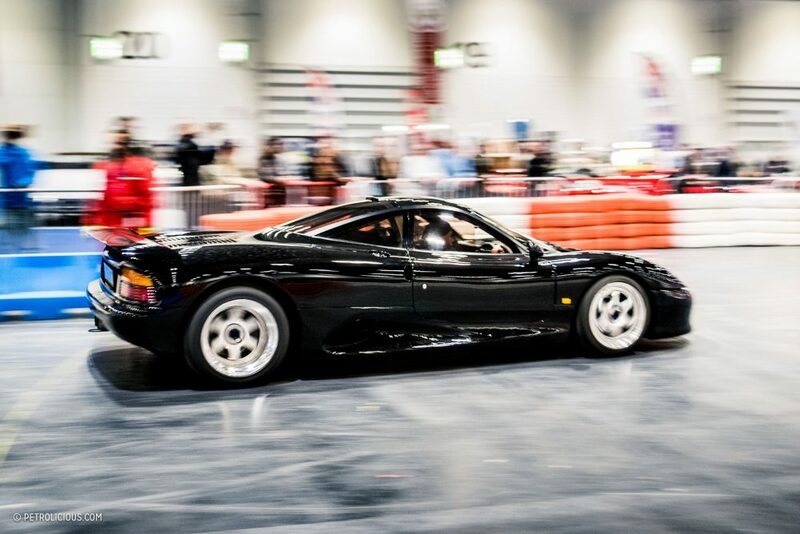 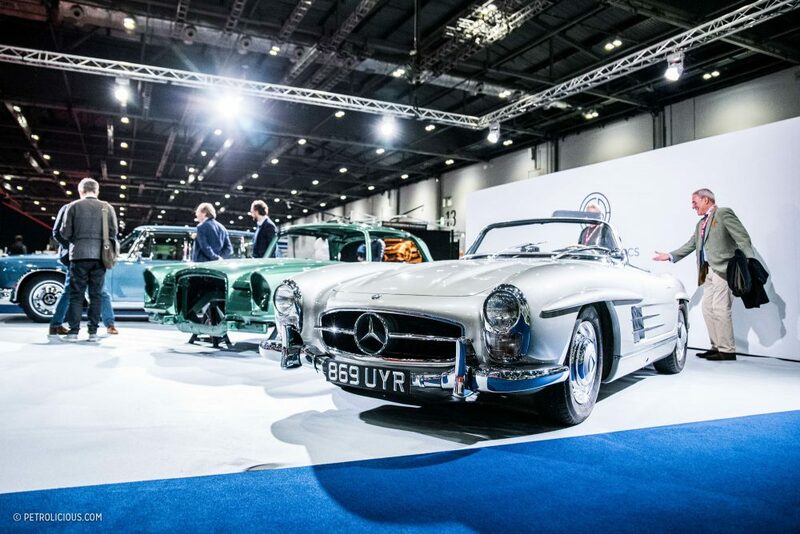 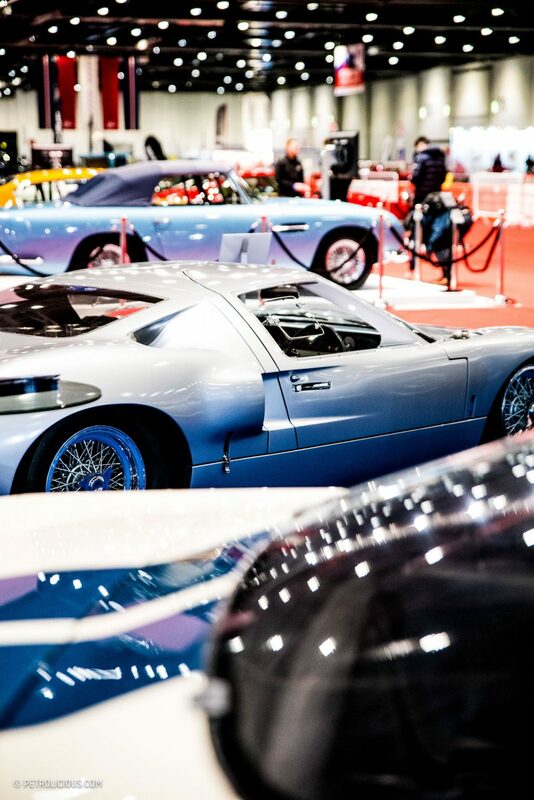 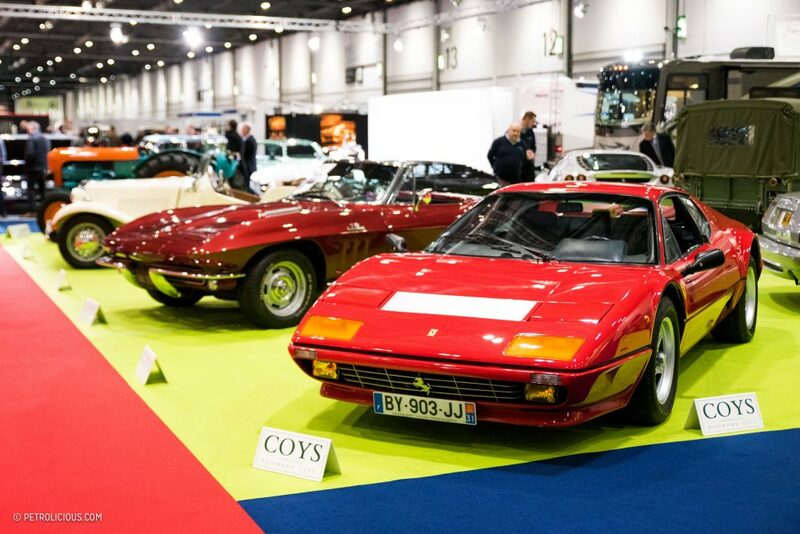 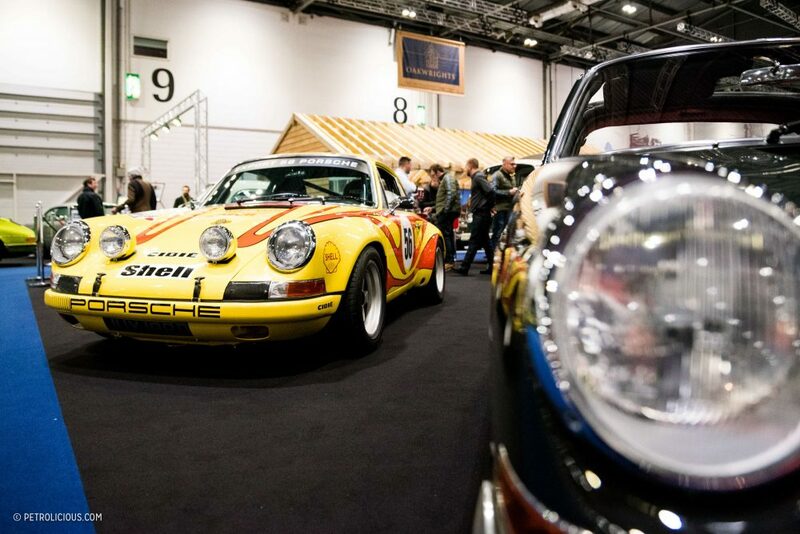 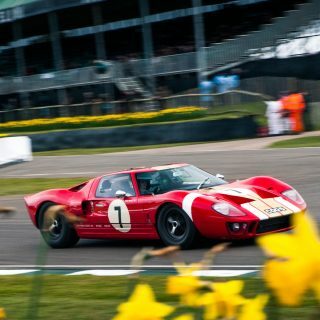 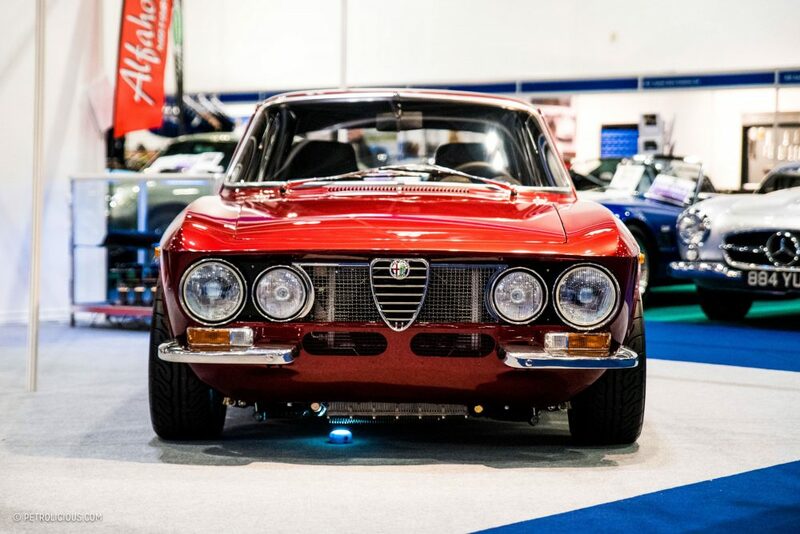 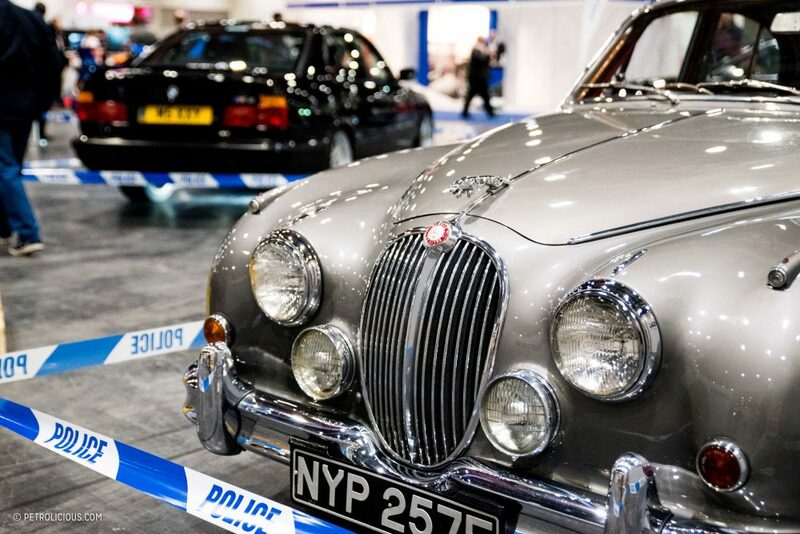 For those eager to kick start the classic car year and catch some cars in motion, the London Classic Car Show continues through to the end of this weekend, and you can find further information on their website here.